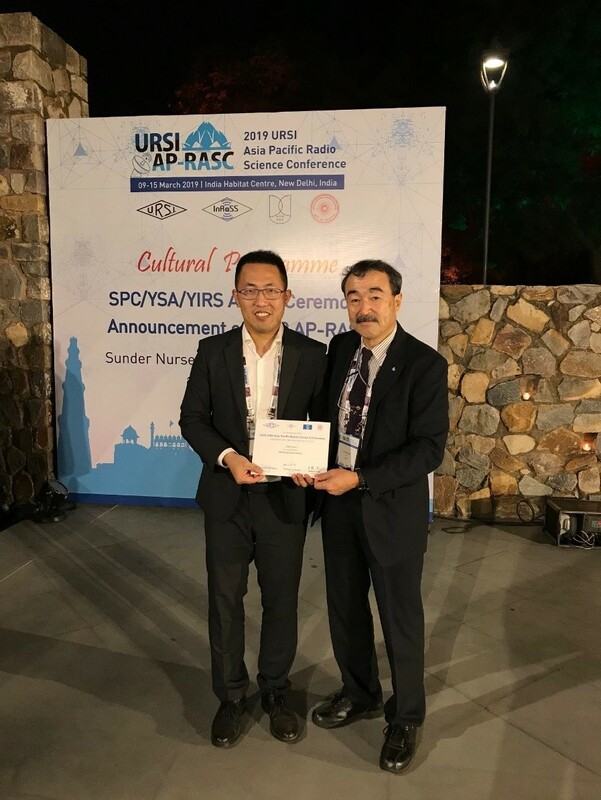 Recently, the 2019 URSI Asia Pacific Radio Science Conference (2019 URSI AP-RASC) concluded in New Delhi, India. XJTU young lecturer, Guo Jun, was awarded the Young Scientist Award by the International Union of Radio Science (URSI). This globally prestigious award is presented in order to recognize young scientists under the age of 35 who have made significant contributions in all areas of radio science. Guo Jun was the only winner in the field of Electromagnetic Environment & Interference (Commission E) in 2019 URSIAP-RASC. URSI President Makoto Ando presented the award to Guo Jun.